Up-cycling furniture is something that has been around for many years, often amongst the interior decorators and DIY experts. However thanks to sites like Pinterest giving us lots of helpful hints and tips, we can all now give it a go. So if you aren’t familiar with up-cycling, it’s very much like recycling, except its mainly done using old furniture, and giving it a makeover, or making something new out of old bits and bobs. Nowadays you don’t have to be an expert builder, upholsterer or carpenter to do these things, the internet is full of step by step guides, videos and always plenty of inspiration on how rework a sideboard or put together a new chest of drawers. This new trend not only gives you a chance at learning something new, but a chance to pick up a new hobby, and potentially start a business, and if that’s not for you, then why not just transform that bulky cabinet taking up space in your living room in to a seat for the garden, or a comfy new bed for the dog? The possibilities are endless. Not being ones to pass up on an opportunity, we thought we would give this up-cycling thing a go ourselves. 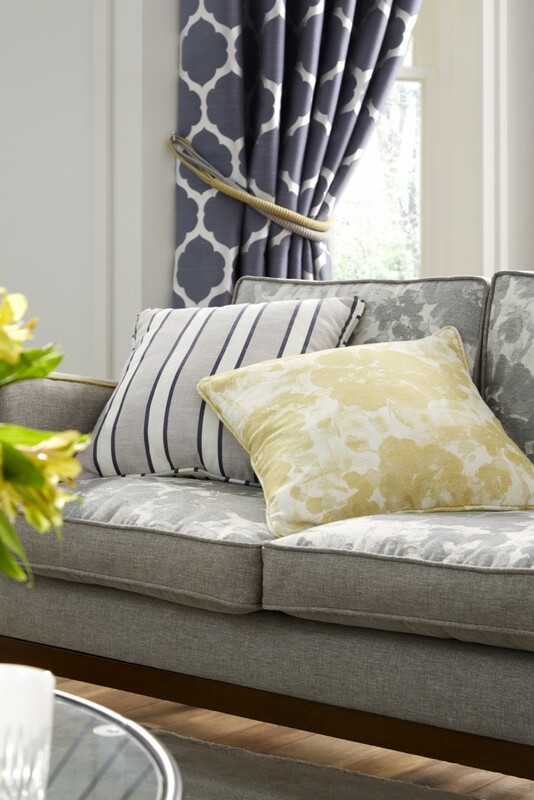 You may have seen this sofa appearing in a lot of our campaigns recently for our Shalimar fabric collection; well it looked a lot different when we first got it. 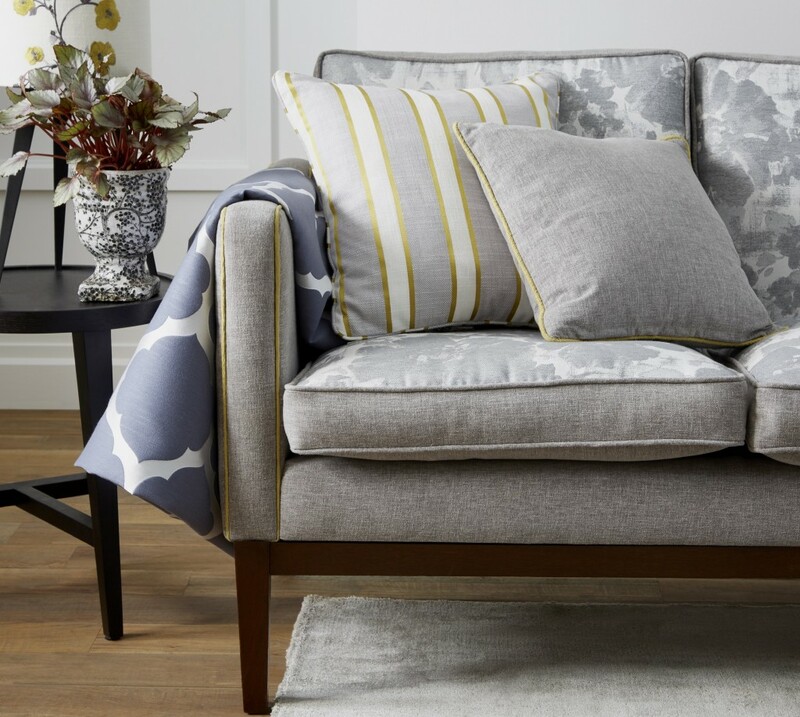 We wanted to be able to get the perfect piece of furniture to take part in our photo shoot to promote a new fabric, however it wasn’t as easy as just going out and buying a brand new sofa. We needed it to be covered with the fabric, so after a lengthy search online we managed to find one that would work perfectly, but it needed a lot doing to it to make it photo ready. By stripping off all the existing fabric and making sure the cushions and frame were complete, fixing anything that had come apart, we gave it a brand new lease of life with fresh fabric covering the entire sofa, and even made the cushions to match. This is the photo of the sofa when we brought it, and the second is what it now looks like. Upcycling is a great way to transform something old and give it a completely new look and purpose. It also gives you the chance to use spare fabrics or accessories left over from jobs and put them to good use.